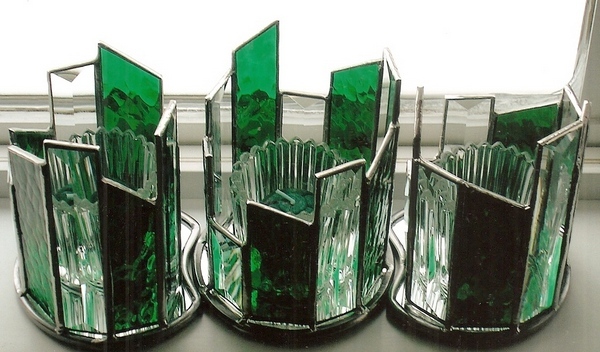 Some 10 years ago we made this beveled candle holder set using mirrored glass for the bases wrapped in lead came, 1 inch bevels of various length’s and Spectrum’s green hammered glass. As they were somewhat tricky to put together, black electrical tape helped hold the various pieces in place. Then with spot soldering we secured their positions as well as to each base. 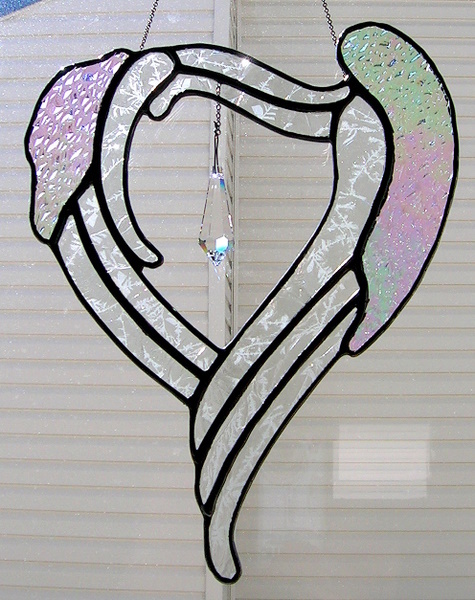 Then carefully finished soldering the outside and inside seams, When working with mirrored glass one needs to put clear nail polish on the reverse side along the edges to be ground, as by doing so prevents the mirror coating from chipping off during grinding. 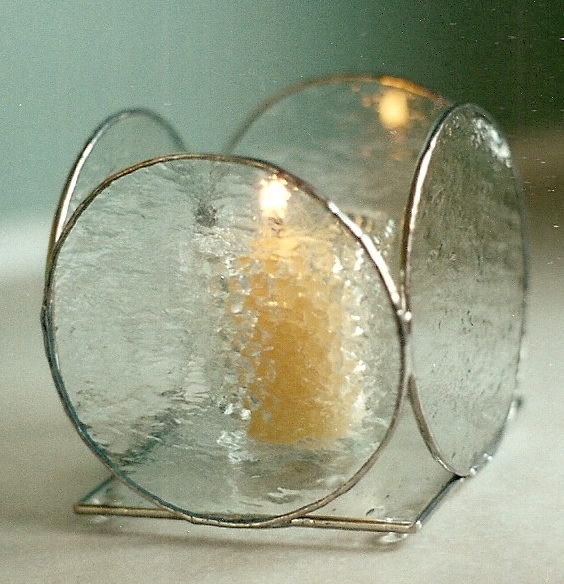 They take time to solder, clean and polish but well worth the effort for this beautiful stained glass candle set. 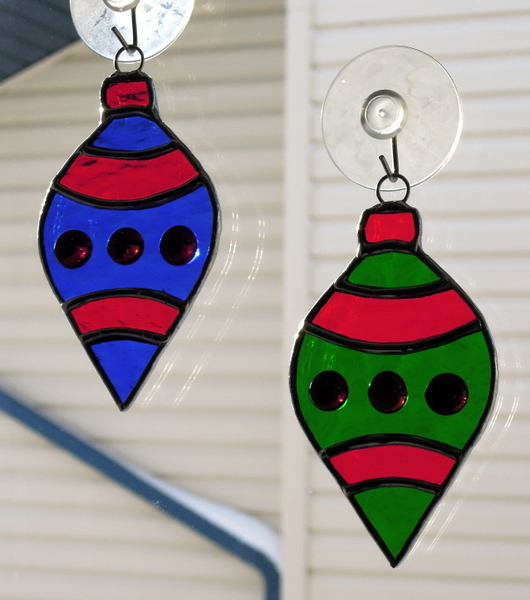 We have these awesome clients who ask us to make unique stained glass items for their many adult grandchildren each year. 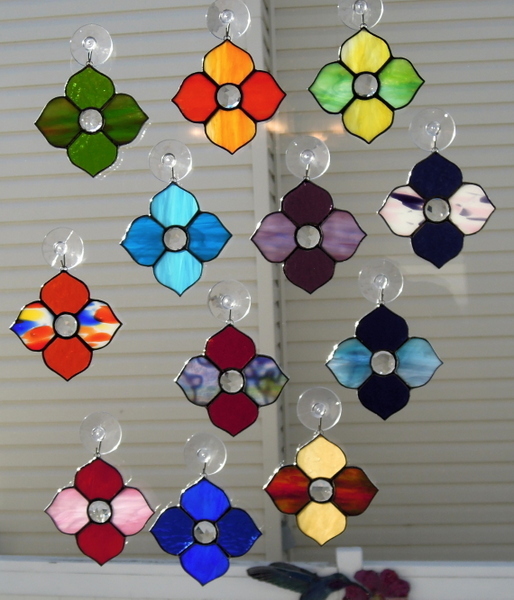 For Christmas 2013 we made this bevy of multicolored geometric’s, each one has a clear jewel centre. They measure approximately 5 inches x 5 inches. When soldering we put a penny under the jewel which raises it higher in the geometric and shows it’s beauty to a much higher degree.